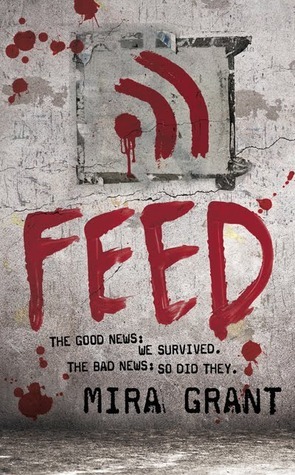 Just as an example of the trouble that conversations at the bar during conventions can get you into, you can read a conversational review of the Newsflesh trilogy that I was recently involved in. As you will see, I am rather naive at times! And, how cool is it that we are all so connected now thanks to the wonders of the internet that the author found our review, read it and commented on it on Twitter?! I love the future. This entry was posted in Writing and tagged Alisa Krasnostein, ASIF, Kathryn Linge, Mira Grant, Newsflesh, reviews, Seanan McGuire, Tehani Croft Wessely on October 15, 2012 by David.